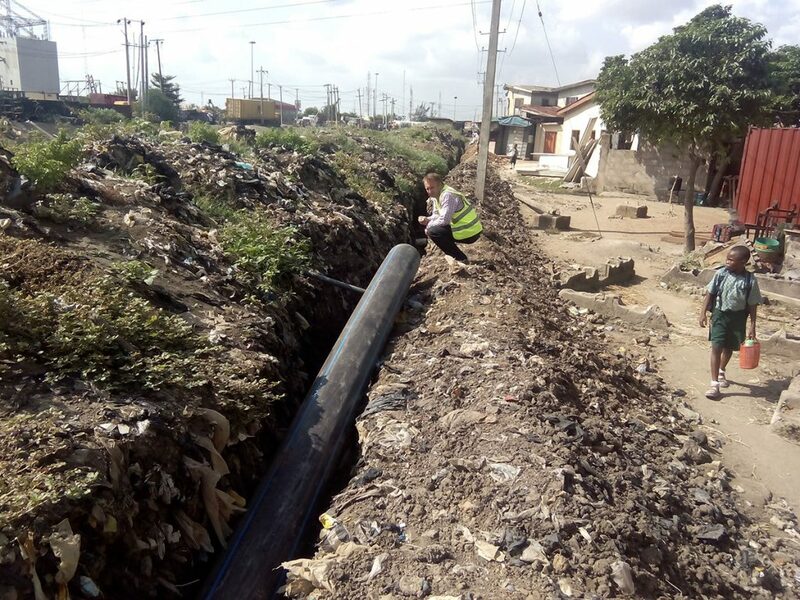 Water distribution network in Lagos. Lagos Water Corporation (LWC) is in charge of supplying drinking water to a population of 18 million people in the State of Lagos. The installed water production capacity is 210 million gallons/day, which is below the current demand. LWC intends to avoid problems of daily water cuts and guarantee the supply of drinking water to the growing population of Lagos, for which it intends, through this agreement, to increase the water supply capacity to 745 million gallons/day. I. Replacement of concrete and cast iron pipes. 110mm HDPE tubes with a total length of 19,990.52 meters. II. Extension of the existing distribution network with HDPE tubes. 250mm – 145,36 metersTotal – 29,651.36 m.
IV. Installation of 6,000 pre-paid ND 20mm meters for domestic water. V. Installation of 180 ND 50mm pre-paid sewage meters. VI. Installation of 474 ND110 mm to ND400 mm isolation valves. VII. Installation of 30 hydrants. VIII. Installation of 49,642 meters of metallic guide wire. I. Extension of the existing distribution network with HDPE tubes. II. Installation of two DN 500 mm electromagnetic meters powered by ultra-sonic zonal battery. III. Installation of 2,000 pre-paid ND 20mm meters for domestic water. IV. Installation of 50 pre-paid ND 50mm meters for wastewater. V. Installation of 389 ND110 mm to ND400 mm isolation valves. VI. Installation of 54 hydrants. VII. Installation of 38,942 meters of metallic guide wire. Review of the Execution Project. 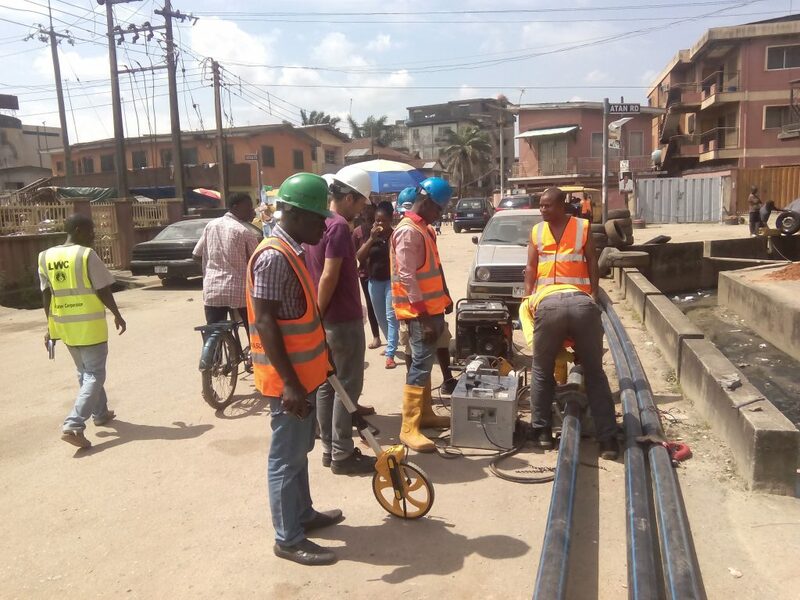 Rehabilitation and expansion of the water distribution system in Lagos. Lot 1: SURELE. Lot 2: ITIRE. Lagos Headquarters Water Corporation. Lagos. Nigeria. Lot 1 Surele: 29,651.36 m.